https://matcha-jp.com/en/1290 7 Things You Should Do In Ueno! Ueno might not be as popular as Asakusa or Shibuya but it actually has more to offer than you think! Ueno is easily accessible from Narita airport, Tokyo, Asakusa and Akihabara, making it an important hub for tourists from abroad. Yet, Ueno is more than just a place to switch trains! Many tourist attractions in Ueno's streets remain undiscovered. 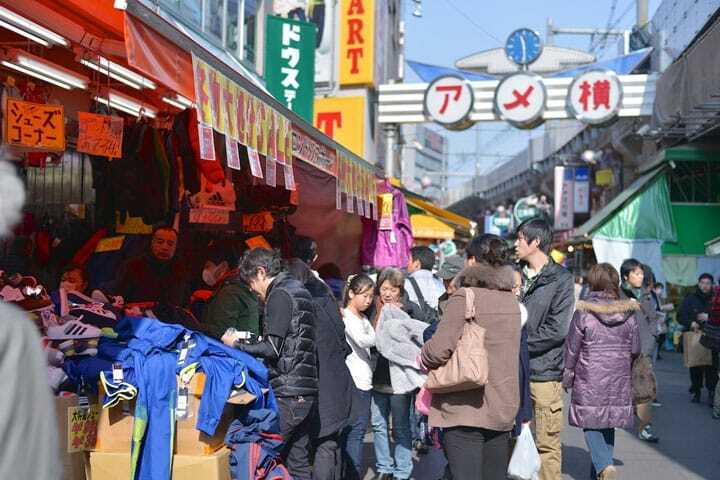 In this article we will introduce seven different activities you can do only in Ueno. Ueno Park (上野恩賜公園 Ueno onshikōen) is a spacious park in the Ueno area. Many trees and plants are grown here, providing a relaxing environment for both locals and tourists. There is a Starbucks cafe, restaurant and water fountain here. During the weekends, street performers gather to hold entertaining shows. Also known as a popular spot to view cherry blossoms, Japanese people flock here during spring every year. It is an ideal place to take a break during your trip. Source:8 Animals You Absolutely Must See At Ueno Zoo! Inside the park is Ueno Zoo, the first zoo in Japan. Also, it has the largest number of visitors in Japan so it is a familiar spot for Japanese people. While it is not a typical tourist spot, you can see the Japanese serow (a goat-antelope that is seen as a national symbol of Japan), Lidth's Jay (a colorful bird), and other animals native to Japan here. A highly recommended spot for animal lovers. Ueno Zoo: Animals from All Over the World Can be Seen Here! 8 Animals You Absolutely Must See At Ueno Zoo! Ueno is also known as a cultural district since there are many museums here. The Tokyo National Museum exhibits many Japanese and Asian art works. In addition, the National Museum of Western Arts exhibits impressionism works, and Ueno Mori Museum is known for its anime or comic arts. For Japanese art lovers, these are places that you shouldn't miss. Immerse yourself in the beauty of arts here in Ueno.